Using 12d Model with Industry Foundation Classes (IFCs) and Revit is quite advantageous for all Revit users; using this information allows them to have greater collaboration between the two products. Previously, in other projects, the challenges GHD faced involved linking 12d Model drainage network models into Revit (various methods used include 3D CAD, ExDS .xml Generator, an Excel-based generator), 12d TINs into Revit (limited information) and Civil data into Revit (various plugins including Dynamo to try and replicate civil design data such as track slabs for light rail). However, across a major project, replicating 12d data in Dynamo without a dedicated resource can be a lengthy process. These methods often involved long and complicated import processes, and they only had limited information. Using 12d Model with IFC helped to alleviate some of this. IFCs are the global standard used to describe, share, and exchange construction and facilities management information. As a data format, IFC is neutral and non-proprietary (i.e. not the product of, or favouring, any particular vendor). GHD’s workflow for using 12d Model with Revit entails exporting an IFC file from 12d Model, editing the IFC file in a text editor, then linking it into Revit. They use the IFC Express Writer within 12d Model to facilitate this process. Once they’ve shifted the 12d Model closer to zero for Revit, they open it with a text editor so as to change the IFCCartesianPoint to 0,0 (the IFCCartesianPoint is the coordinate used by Revit as its placement point). This process will stop the data from being distorted and therefore useable by Revit. This model shift and step of editing the file is not done for other software like Navisworks. When exporting from 12d Model to Revit, Sean said it’s important to remember to change the IFCCARTESIANPOINT to ((0.0,0.0,0.0)), making sure the origin in the IFC Express Writer Dialogue Box matches the Revit Project base point coordinates, and to ensure the Export Attributes box has been ticked. Before they bring it into Revit, they set up a few options that allow them to map certain 12d Model elements and IFC classes to an appropriate object inside Revit. They achieve this by setting up a template with a pre-defined project base point which allows them to generate a model in real-world coordinates. 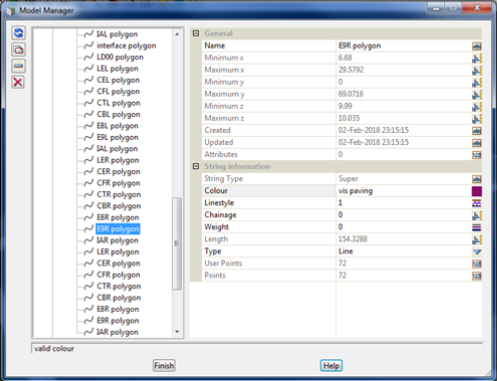 They also set an IFC mapping class, which allows them to map 12d elements to the correct Revit categories e.g. pipes that come out on an IFC element assembly to the Pipes category inside Revit, 12d TINs to a Site category inside Revit, and for anything that’s on a building element proxy, they can choose to map this to a generic model or something else. Linking an IFC file into Revit creates a few extra automatic files (IFC files, Revit files, HTML Log files, and Shared Parameters files, which are used for mapping attribute data from 12d Model a parameter inside Revit). Model. Mapping attributes and checking calculations are correct is essential to this process. So what is actually generated when we put an IFC into Revit from 12d Model? All the element information comes from the 12d Attributes, but it’s a static model when linking into Revit. By using these programs together, Sean’s team was able to produce an accurate replication of geometry without having to re-model through Dynamo. The colours were driven from 12d Model polygon colour mapping, which was ideal for standardisation. They used a Shaded/Realistic model with Graphics Display Options – Show Edges = “Off” to make polygon triangulation disappear (something Sean was able to demonstrate to the audience in his presentation), and created Linked Views for project consistency. 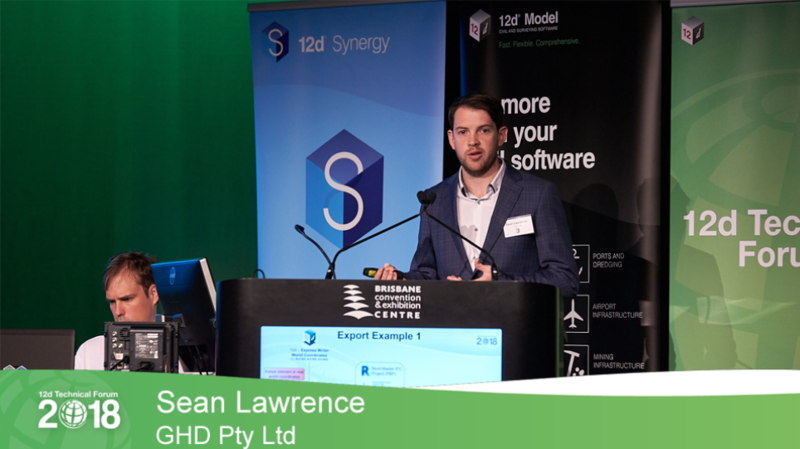 The string information from 12d Model, according to Sean, was extremely beneficial as an export – they were able to use IFC generated strings for 3D pick line modelling, and to colour strings by filter or category using the parameter information from 12d Model. Strings were used to show edges in 3D views while “Show Edges” was unticked. 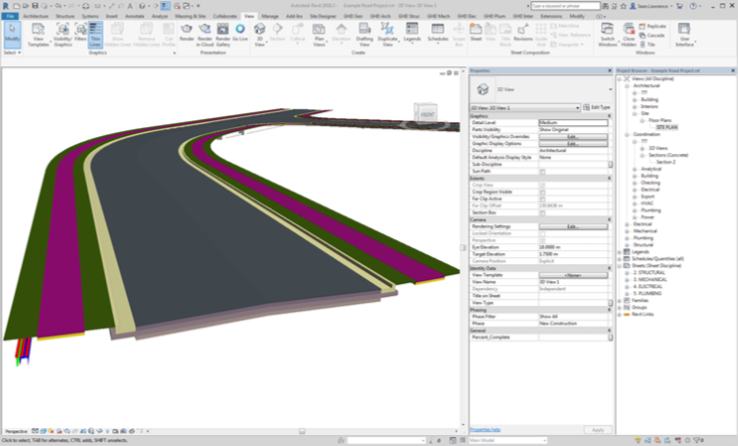 In Plan View, some important steps in GHD’s processes included filtering 12d strings to show Control Lines and Road Linemarking, using filters to hide the lower Trimesh models for a cleaner view, and adjusting transparency to view below the surface. They also used shading techniques to get their Linked View plans looking consistent across all projects. In Section View, they filtered for annotation of different elements. When linking 12d IFCs into Revit, there are automatically generated schedules for each IFC Class mapped, and schedules are generated as a result of the IFC Class to Revit Category Mapping template. This allows them to check data and use it for their own techniques when writing documentation. As with the trimeshes from 12d Model, the GHD team is able to use the IFCSite Export function from 12d to generate a Site category family of any TIN. 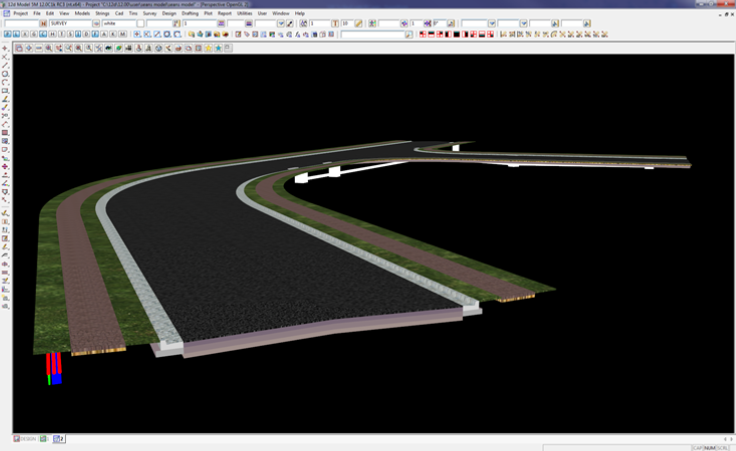 The ability to export an existing SurveyTIN and SuperTin with Linework for use in drawings have also proved invaluable, as having cross-sectional display control, Plan Shaded, Colour Change, contour and linework control, and the ability to change Mapping of Survey export from ‘Generic Models’ to ‘Lines’ Revit category. Sean also ran through some of the challenges his team faced in using Revit, such as not being able to edit elements when linking IFC files, and not being able to use colour overrides in Plan or 3D, and how upgrading to 12d Model 14 is helping them to overcome some of these issues. In particular, using IFC 4 in 12d Model 14, the team was able to bring data back into 12d. This method keeps file sizes smaller, allowing for more complex design. ‘Splitting data into Entity models’ allowed them to separate all the IFC elements into their individual IFC Class models. The GHD team was also impressed by their ability to use these processes in their civil documentation without the need to remodel services – it all came directly out in their annotated cross sections, with the help of macros in 12d Model. Overall, the positive impact of being able to use 12d Model in this way, Sean said, has given GHD the ability to gain accurate and up-to-date information in a variety of areas, to help them produce even better-detailed design jobs for their clients.